The collection day of your new caravan is an important milestone. There is lots to take in and it can be quite overwhelming. With that said, you may wonder what to expect on the big day. There are several steps that you will be guided through to make sure you are happy with your new purchase and in this section, we will give you some idea of what to expect. If you are buying your very first caravan, please make sure you bring your drivers licence and your current V5 document for the towing car. We will require this to make the number plate on the caravan. Also, don’t forget to bring some ID with you and proof of your address if you are purchasing the caravan on finance. If you are not using finance to purchase or have obtained finance elsewhere make sure you have arranged the appropriate method of payment. Finally, please make sure you arrive at the dealership at your appointment time. This timeslot will have been agreed with you by our sales team prior to collection. In the summer we are very busy, so it is imperative that if there any issues with your appointment you call us as soon as you can. Once you arrive, make yourself known to the sales team who will then introduce you to the dispatch team. Our dispatch team will give an in-depth tour of the caravan demonstrating the features and facilities. You will be shown how the caravan works and answering any questions you may have. We appreciate there is a lot of information to take in, so we will take our time to make sure you understand the various parts of the caravan. You will also notice the caravan will be warm, have fresh water connected and this allows you to see the caravan functioning prior to you leaving. 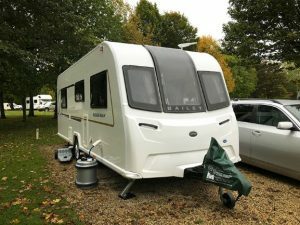 Once you are happy with the caravan you will be invited to bring your towing car to the caravan and a demonstration of hitching up in a safe and legal manor will be completed. 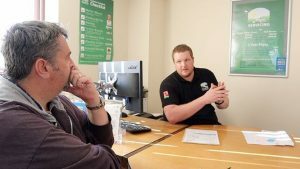 After the demonstration and tour of the caravan has been completed, the sales team will go through any documentation such as warranty information of any accessories you have had installed and caravan registration. Depending on how you are funding this purchase, the balance will now be paid. If it’s a finance agreement, the instruction will commence on this date, but if you have already sourced an alternative funding option you will be asked to settle the outstanding balance at this point. 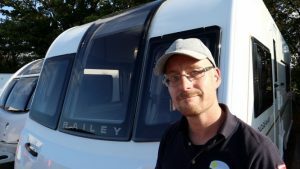 Once you leave we highly recommend taking your caravan away to a local caravan site for a couple of nights to test the caravan in your own time and space. Collection day can be an overwhelming time and key information can be forgotten. If something isn’t right or you simply cannot recall how something should work, please do give us a call so we can guide you through any issues you may have. Sometimes things don’t go right, in the next part we will discuss the after sales department, how they can help if something is broken or worn out and what you can expect from us in that instance. Demonstrator Model Sale Now On! Swindon Caravans Group & The Trudgians.